FIG LIFE fauna tech case iPhone X/Xs iPhone Xs Max, iPhone XR, iPhone 8/8 Plus, iPhone 7/7 Plus, Samsung Galaxy S6 + more! Say hello to our new and improved case designs! Fresh from our Resort 2016 collection, hand drawn fig leaves will have you thinking of wide brimmed hats and floated maxi dresses in no time. Sleek and Chic, our impact resistant case features a snap-on hard plastic shell with interior padding and a lip around the screen's edge for face-down protection with full access to all your phone's features. Need extra protection? Upgrade to our Added Amour dual-piece case which has the same great features of our Sleek and Chic case with the addition of a hard rubber bumper. Power Case is now available for iPhone 6/6s only. Case delivers a full battery charge. Features smart 4 LEDs to indicate remaining battery capacity. Multilevel protection circuit for over-heating, over-current and over-load. Controls and regulates temperature, voltage and current. Product dimensions 2.76" x 6.02" x 1.1" (WXLXH). Current production time is 7 to 10 business days for all phone case orders. You will receive a tracking update once your item has shipped. This item is made to order and will ship directly from our supplier. Returns and exchanges can not be accepted. UNE FEMME floral tech case iPhone X/Xs, iPhone Xs Max, iPhone XR. iPhone 8/8 Plus, iPhone 7/7 Plus, Samsung Galaxy S6 + more! Bessie faux cow print tech case iPhone X/Xs, iPhone Xs Max, iPhone XR, iPhone 8/8 Plus, iPhone 7/7 Plus, Samsung Galaxy S6 + more! 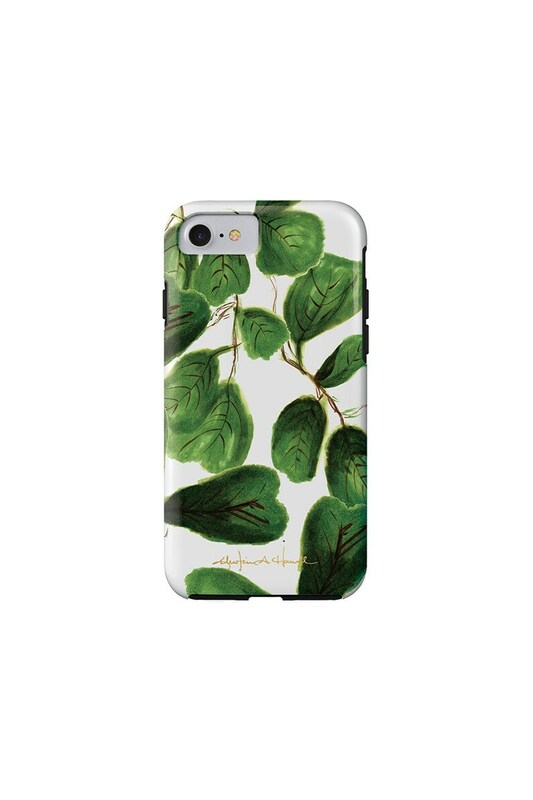 MICHELLA watercolor floral tech case iPhone X/Xs, iPhone Xs Max, iPhone XR, iPhone 7/8, iPhone 7/8 Plus, Galaxy S6 + more! GOLD STROKES faux gold tech case iPhone X/Xs ,iPhone Xs Max, iPhone XR, iPhone 8/8 Plus, iPhone 7/7 Plus, Samsung Galaxy S6 + more! LONGWEEKEND BLUES dainty floral phone case iPhone X/Xs, iPhone Xs Max, iPhone XR, iPhone 7/8, iPhone 7/8 Plus, Samsung Galaxy S6 + more! This will forever be my case! I get so many compliments!!!!! Payment is accepted only via paypal and direct check out at this time. All items are made to order, therefore we do not accept returns on any products. Please choose your options carefully. Not responsible for lost/damaged packages. Cancellations can only be made within 24 hours of purchase. Please convo me with requests for cancellation. Any requests made after 24 hours cannot be considered. • Items are shipped via USPS First Class, USPS Priority, or USPS First Class International. • We ship most items from our Atlanta studio only on Saturdays. • Phone cases ship directly from our local supplier with a 5 to 7 day production time. • Upgraded shipping is available – send us a note and we'll create a custom listing with adjusted shipping for you. • You will receive a tracking notification via Etsy once your order has shipped. • If you have special circumstances, please send us a note prior to placing your order – we will try to accommodate as best as possible. Custom work is welcomed! Just send us a note! ©Khristian A. Howell. Copyright subsist in all images and content in this shop. Images cannot be reproduced or otherwise distributed in any form without written permission from the copyright holder. All artwork purchased in the shop is for personal use only. All content is protected under both United States and International copyright laws. All right reserved. Analucia yellow floral tech case iPhone X/Xs, iPhone Xs Max, iPhone XR, iPhone 7/8, iPhone 7/8 Plus, Samsung Galaxy S6 + more! NINETTE hot geo phone case iPhone X/Xs, iPhone Xs Max, iPhone XR, iPhone 7/8, iPhone 7/8 Plus, Galaxy S6 + more! CAVA in melon or black tech case iPhone X/Xs, iPhone Xs Max, iPhone XR, iPhone 8/8 Plus, iPhone 7/7 Plus, Samsung Galaxy S6 + more! Denim blue Color Cap phone case iPhone X/Xs, iPhone Xs Max, iPhone XR, iPhone 7/8, iPhone 7/8 Plus, Samsung Galaxy S6 + more! OPEN HEART phone case iPhone X/Xs, iPhone Xs Max, iPhone XR, iPhone 7/8, iPhone 7/8 Plus, Galaxy S6 + more!